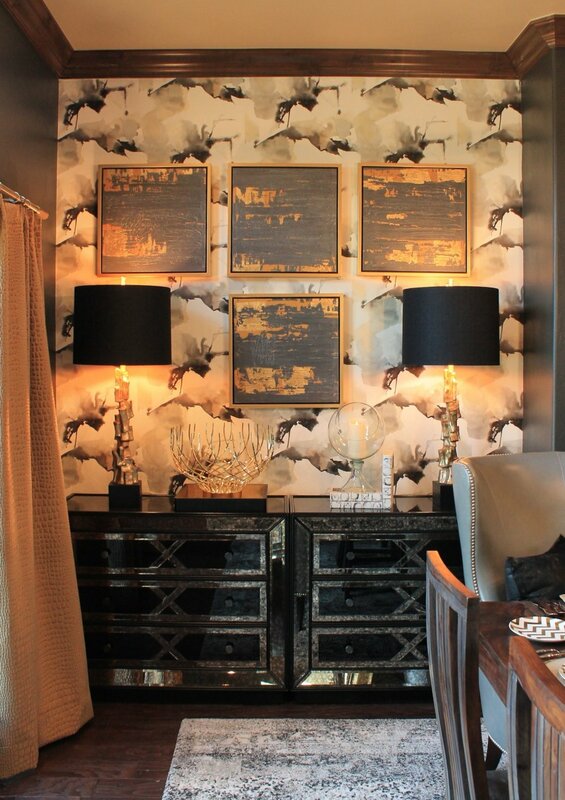 The first ever Show House in Oklahoma City done exclusively by Interior Designers. Mohair drapes, a horse floor lamp, hand sconces, and a desk sign declaration all come to play in a dramatic dining room. Why? Because every room needs to have a little fun.